Finance Minister Asad Umar told that the government needs $9 billion to run Pakistan. 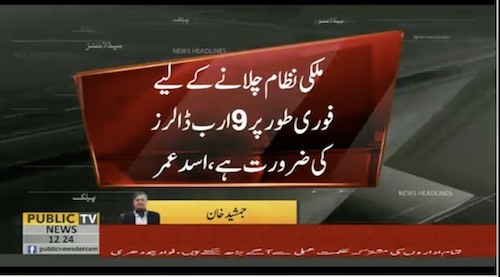 He said Pakistan, as per the budget, need $9 billion to run the country.”We are trying to address the root cause that compels us to borrow these $9bn. Off course, we know any policy will take time to yield results,” he added. 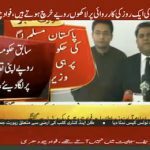 The minister said that the loan will be taken after taking the Parliament on board. He said a plan to this effect will be finalized in next one or two weeks and then it will be presented before the Parliament for discussion.